Are you looking for tips to fast track your way to Qantas elite status in 2019? If so, a Qantas status run can help elevate you to the lofty heights of Gold or Platinum status quickly. While you’re here: Enjoy 100,000 bonus Qantas points plus a $450 Qantas Travel Credit and two Qantas Club lounge entries with the Qantas Amex Ultimate Card. Limited time offer ends soon. Read our card overview guide to find out more. If you’ve come here seeking ideas on high-earning itineraries to book with a Qantas double status credit offer, read on! In this guide to Qantas status runs, we’ve compiled a number of up-to-date routes that could deliver you a stack of status credits in 2019. Discover how to maximise status credit earn from your next journey. Plus, find out how I personally achieved Qantas Gold status with just one trip. Last year, I embarked on my own Qantas status run to Noumea, which helped to quickly elevate me to Qantas Frequent Flyer Gold status. Multi-segment itineraries generally deliver the highest number of status credits for each dollar outlaid, and the Noumea status run has been well known for allowing a number of transits to be booked within a business sale fare class. In order to book these ‘creative’ routings, it helps to know your way around the Qantas multi-city search tool, available on the Qantas website. 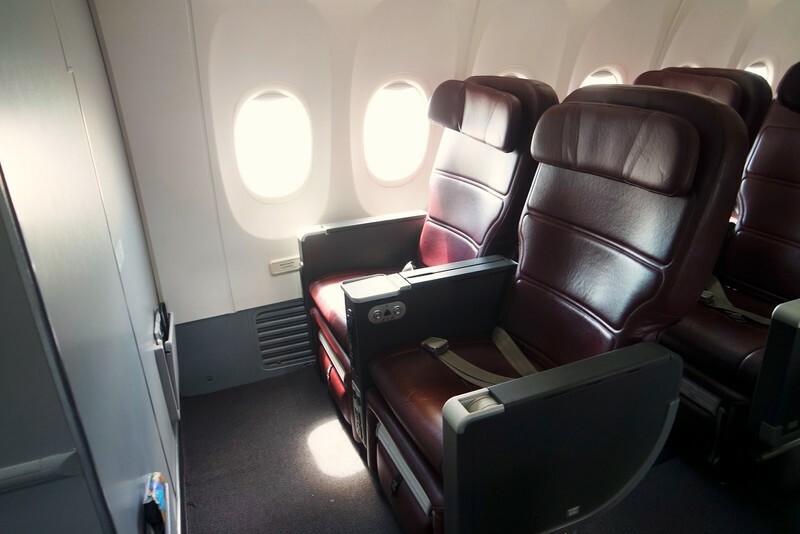 All flights were booked in business class – seven on the Qantas operated Boeing 737 and one flight on the smaller Boeing 717. The flights were put together with the help of a travel agent well versed in the art of status runs. As can be seen, my route achieved a whopping 660 status credits for a total spend of $1,406 AUD. This was comprised of 440 ‘standard’ status credits plus an additional 220, delivered as part of my targeted Qantas 50% bonus offer. My achieved status credit earn jumped even higher to 710 when adding in the Loyalty Bonus of 50 status credits that Qantas awards flyers for every 500 status credits earned within one membership year. This meant that I was able to achieve Qantas Frequent Flyer Gold status in just one trip. My spend equated to an outlay of just $1.98 per status credit earned – an extremely high yielding return. In addition, I was able to offset some of the cost of the ticket by picking up over 18,000 points as a direct result of my travel, and a further 3,000 points via my Qantas Business Rewards membership. A Qantas status run isn’t for everyone. Completing over 18 hours of flights in Qantas 737 and 717 business class and a similar amount of time navigating airports over a 48 hour period requires a certain level of commitment! However, elite Qantas status comes with a number of perks including lounge access and reciprocal rights within the Oneworld alliance, so it’s worth chasing in the eyes of many. For me personally, holding elite status with Qantas is very valuable, even though I frequently travel with points. It can provide an advantage when redeeming points for upgrades, as you’re higher in the pecking order. Qantas also releases award seats to Gold, Platinum and Platinum One flyers ahead of other membership tiers. This is something I value highly, as it allows me to jump in quickly to snap up ‘in demand’ award seats as they are released. Booking a Qantas status run in conjunction with a bonus status credit offer can maximise your earn by 50% or 100%. Quite simply, it will help you to obtain or retain your preferred status quicker. Qantas routinely offers targeted bonus status credit offers to their membership base throughout the year. These usually come in the form of a 50% status credit bonus (as in my case), with some members lucky enough to receive an offer of double status credits. The first 2019 double status credit offer has now launched, and we may even see a few more this year. In 2018, Qantas ran a record three public double status credit offers. You can find out everything you need to know about Qantas double status credit offers in our post here. It’s also not uncommon to see targeted double status credit offers released to selected members during the year. We don’t know what drives these – the invitation criteria is subject to much speculation from those active in the frequent flyer community. When booking in a Qantas status run, you’re essentially ‘paying’ for each status credit. Those in the know seek the maximum number of status credits while flying as cheaply as possible. In my example above, I achieved 710 status credits for a total spend of $1,406 (comprised of 660 status credits, plus the bonus 50 status credits Qantas rewards you for every 500 status credits earned within one membership year). That equated to an outlay of just $1.98 per status credit earned – an excellent return. Consider instead the earn rate of a one way economy red-e-deal from Sydney to Adelaide. This flight, currently retailing for $169 (as at 21 January 2018), would earn you just 10 status credits, costing a massive $16.90 per status credit earned. To put this in perspective, the average traveller commuting on red-e-deal economy flights between Adelaide and Sydney would need to clock up a sum total of 71 flights in order to get the status earn that I did with just one trip. Generally, the routes known to deliver good return per dollar on status credit earn need to be flown in ‘premium’ cabins, as status credit earn is significantly higher in business and first class when compared with economy. When booking a Qantas status run, it’s important to consider when the status credits are likely to actually hit your account – timing is key. In my personal situation, my Qantas Frequent Flyer Gold membership was due to expire towards the end of 2017. The timing of my targeted Qantas double status credit offer provided me with the option of either undertaking the status run towards the end of my 2017 membership year (allowing me to retain my gold status for a further 12 months) or waiting until the following membership year, during which time I’d inevitably have dropped to silver and would have to re-qualify. Waiting until the following membership year as a silver member meant that I’d need to earn 700 status credits – 100 more status credits than I’d require if travelling in 2017 while still gold. However, it also meant that I’d pick up almost two years of gold membership (the remainder of the 2018 membership year, plus an extension until the end of 2019). For this reason, I chose to undertake my Qantas status run in early 2018. Of course, if you’re looking at a short status run with a view to adding a small number of status credits to your existing tally, it might make perfect sense to carry out your Qantas status run within your current membership year. Similarly, it’s best to avoid a Qantas status run within the last few days of your membership year. While status credits can post within 24 hours, it’s not unknown for the process to take longer. And according to Qantas, status credits earned through bonus offers can take weeks, or even several months, to credit to your account. We’ve put together a list of selected Qantas operated status runs you could look to book in 2019. These are the best yielding routes we can find at the time of writing that will maximise your status credit earn to dollar spend ratio. A fast track to Gold status is the ultimate objective of many who embark on a Qantas status run. Pricing for the below routes is for low season, Business Sale or Saver fares and is current as at 21 February 2019. All routes are priced at return business class fares. By booking and flying one of the routes below during a double status credit promo, you could get close to obtaining or retaining Qantas Gold in just one journey. *Pricing sourced from Qantas website on 21 February 2019 and based on Business Sale / Saver fares. Pricing may be subject to change at any time. Keen to put Qantas Dreamliner business class to the test? Why not try for a Melbourne – Perth domestic sector? At the time of writing, a one way direct flight between these two cities in business class costs $2,318. However, if you happen to book a sector as part of a multi-segment journey (say, Noumea to Perth via Melbourne) you could book it at significantly lower cost. If your schedule allows for it, search from regional ports, as routing can sometimes be much cheaper. To take an example from the table above, our suggested itinerary of Port Lincoln to Auckland return (via Adelaide and Sydney) costs $1,659 return. However, by dropping the Port Lincoln sector and instead journeying from Adelaide on the same dates, you’ll add on an additional $400 to the price. Qantas double status credit offers generally only apply to Qantas operated flights and partner airline status credit earn has been somewhat reduced in recent times. However, there are a range of routes operated by other carriers which could boost your Qantas status credit haul quickly at any time of the year. And best of all, they can often feature industry leading products, allowing you to experience a truly memorable journey while racking up SCs in the air. Malaysia Airlines business class intra-Asia routes that transit in Kuala Lumpur (Denpasar – Bangkok, in particular, is a popular route and can be purchased cheaply). Plus, you can enjoy a visit to the flagship MH Lounge in the middle of your journey. Routes originating from Colombo in business or first class. Tickets from this departure port can often be purchased very cheaply. Often, it’s possible to find a cheap itinerary that features Qantas operated flight for one of the long-haul sectors. 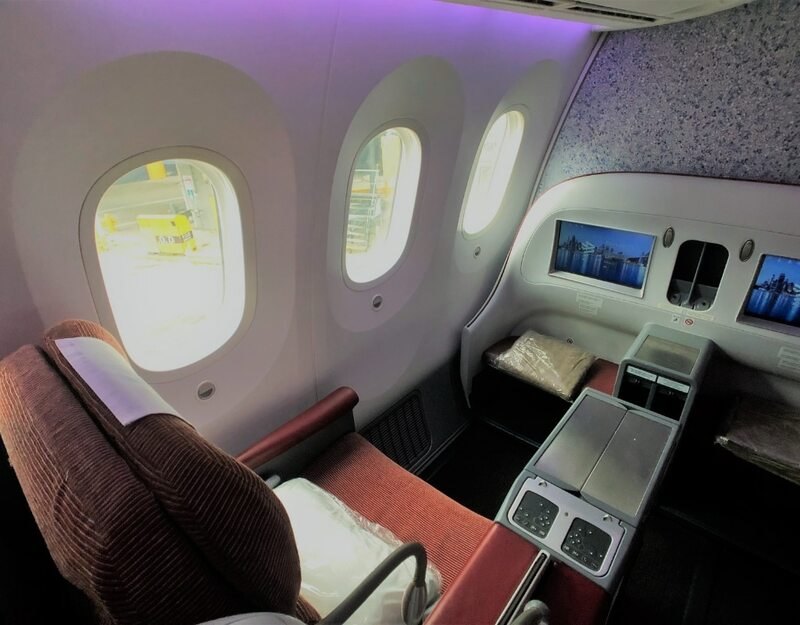 A one way LATAM Dreamliner business class flight from Sydney to Auckland can often be purchased for under $400 one way. It will net you 40 status credits. Finally, depending on your travel plans, it might also be worth considering travelling on Jetstar to earn status credits (noting that travel on Jetstar metal is also often excluded from double status credits promotions). 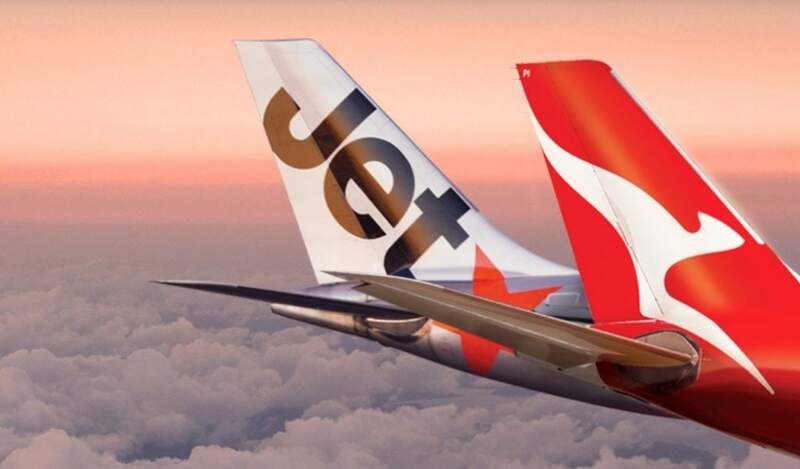 Qantas Status Credits can be earned on Jetstar’s Starter Plus, Starter Max or Business Max fares. The Starter Max Bundle is arguably the sweet spot here. A Jetstar Starter Max Bundle costs just $85 to add to a mid-range domestic flight (for example, Adelaide – Perth or Melbourne – Gold Coast). You’ll earn status credits at the rate of Qantas flexible economy tickets – which would often cost considerably more. Significant value can be had when you add a Starter Max Bundle to a deep discount economy fare. This can allow you to collect status credits at a very competitive earn to cost ratio. Adding on a Max Bundle to a cheap Jetstar flight could see you rake in a significant number of Qantas status credits. Before planning a Qantas status run, it’s important to understand the concept of status credits. 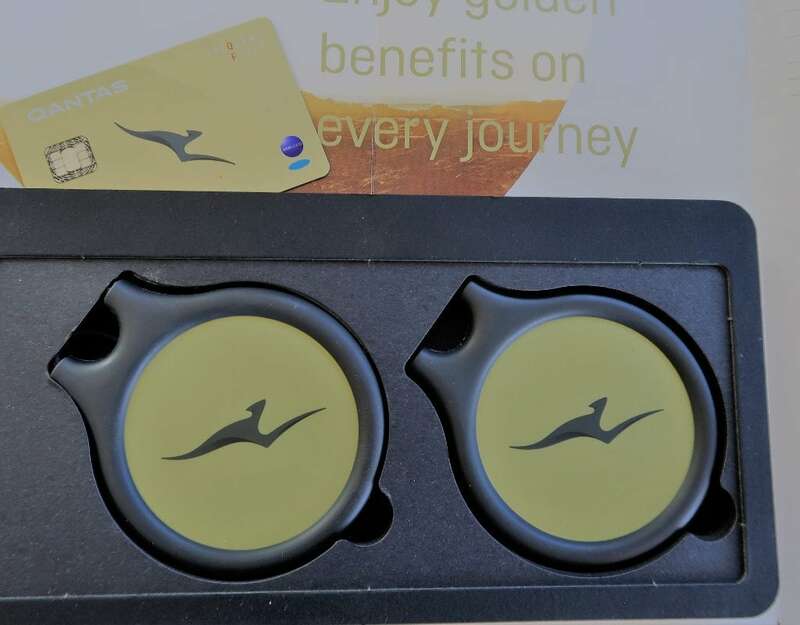 Status credits are the key to progressing up the membership ranks of the Qantas Frequent Flyer program, and they are totally separate from Qantas points. Essentially, status credits are a measure of your flying activity on Qantas and eligible partner airlines. Each time you fly on an eligible flight, you earn status credits, allowing you to move up faster through Qantas membership tiers and unlocking perks as you go. But status credits can also be difficult to earn; a discount economy flight between Sydney and Melbourne, for example, earns just 10 status credits, so you’d need to fly seventy sectors just to achieve Qantas Gold. A Qantas status run certainly isn’t for everyone. In fact, even some of my friends in the points and miles game believe that elite Qantas status isn’t worth retaining. They argue that by flying in the premium cabins on award tickets, you can access most of the benefits afforded to elite members. However, if you’re close to reaching the next status level, or want to retain your existing one, and you travel frequently with Qantas, it may make economic sense to do a status run to get you over the line. And as I’ve highlighted above, holding elite status with Qantas can also put you at a significant advantage when redeeming your points for upgrades and outright flight bookings, so it holds value for some.